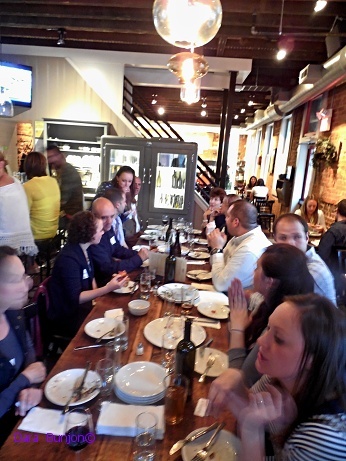 In over 130 cities throughout the United States and Canada people gather for Dishcrawl’s local dining events. Baltimore is the most recent dining outpost for the young company started by Tracy Lee back in 2010. Recently I had the pleasure of “dishcrawlin” as their guest through one of Baltimore’s downtown neighborhoods. Some might recognize the concept as a progressive dinner. Couples, young and old, singles, mothers and daughters were all afoot, as we walked to and from 4 restaurants to dine on one of their house specialties.